I'm putting this here because it will get lost in Discord. So with the new 3.0 engineering we have changes that can affect our hulls so it is good to know how the calculations are actually working to get the end result. 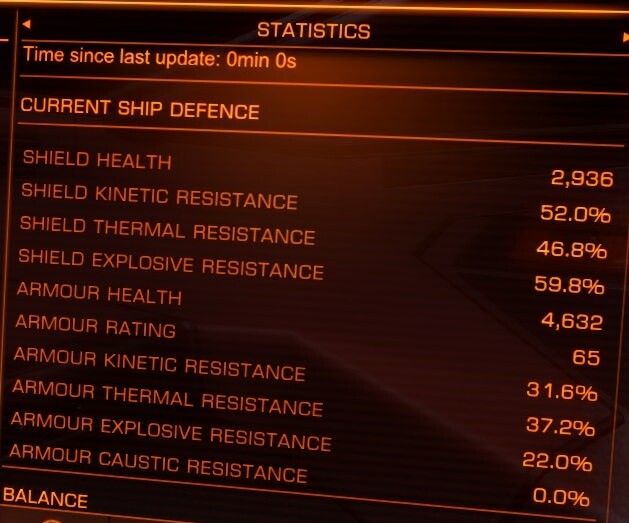 If you look at a hull package such as lightweight, hardened, military, or an engineered variant of any of these what you see is an increased percentage under the hull boost. But what is it boosting? It turns out there is a raw hull value for each ship that isn't published, but is used for calculating integrity. It makes sense in a game programming way to use the hull as a modifier so it can be reused over and over instead of reprogramming values for each ship. So let's take an anaconda for example. It has a lightweight hull integrity of 945. This however isn't the raw value of the hull of the ship. A lightweight hull boosts the ship hull by 80%. Using my arch nemesis, math, the raw value of the ship hull can be calculated at 525 hit points. If you take this base value and compare it to the hulls that then add a modifier it works. A lightweight hull adds 80% of 525, or 420 hit points and adds them together for 945. Military hulls are a 250% boost and if you take 525 and tack on a 250% boost (1312.5 hitpoints) you will get the integrity value 1837.5. Engineering gets confusing because it changes the modifiers and doesn't do it in a well communicated way. For example a modified hull shows two percentage increases. A G5 Heavy Duty hull no longer shows a 250% increase but now shows a 350% (or more) increase and then another percentage increase after that. The first number, the 350% is the amount of boost you are now getting, so an increase over the 250% it was giving before. The second percentage is how much of a percentage the first percentage was boosted. (Yes, it is written that way.). In this example let's look at a V3.0 Military Hull G5 Heavy Duty with Deep Plating. Overall now we see a boost of 398.96%. So we take the raw hull value of our anaconda, 525 points, give it a boost of 2094.5 and have a new hull integrity of 2619.5. The second part of the calculation is resistances. The damage a hull takes changes based upon weapon type hitting it and can be calculated. Assume a 10 DPS laser hits a normal hull. Thermal weapons have no modifier so that damage is passed directly through and you take 10 DPS worth of damage. At that rate with a normal hull (945 hit points) you can expect to live for 94.5 seconds. A 10 DPS multicannon however is better because hulls are 20% weaker vs kinetic, so that 10 DPS multicannon is now effectively doing 12 DPS. Again, a 945 hit point hull vs a 10 DPS multicannon will last for 78.75 seconds because of this weakness. Explosive is worse at 40% more effective. With legacy rolls what happens is that some of the resistances are better than what is available with the v3.0 engineering rolls however the overall hull boost is lower. So does the difference in resistance make up for the lower amount of hitpoints? V3.0 G5 HD w/ Deep Plate Military Hull: 398.96% boost, -17.42% kinetic, +2.15 Thermal, -36.99% explosive. Hull Integrity 2619.5. A 10 DPS Raw, Kinetic, Thermal and Explosive weapon is fired and here are the times to hull failure. Legacy: Raw: 236.55 seconds. Kinetic: 210.08 seconds. Thermal: 256.28 seconds. Explosive: 177.86 seconds. V3.0: Raw: 261.95 seconds. Kinetic: 223.09 seconds. Thermal: 267.70 seconds. Explosive: 191.22 seconds. In each category the new V3.0 hull gives longer survival time despite the lower resistances thanks to the increased amount of available hit points. As an added bonus the new V3.0 hull is also lighter.